The child is neither an adult miniature nor an immature human being: at each age, it expresses specific abilities that optimize adaptation to its environment and development of new acquisitions. Diseases in children cover all specialties encountered in adulthood, and neurology involves a particularly large area, ranging from the brain to the striated muscle, the generation and functioning of which require half the genes of the whole genome and a majority of mitochondrial ones. Human being nervous system is sensitive to prenatal aggression, is particularly immature at birth and development may be affected by a whole range of age-dependent disorders distinct from those that occur in adults. Even diseases more often encountered in adulthood than childhood may have specific expression in the developing nervous system. The course of chronic neurological diseases beginning before adolescence remains distinct from that of adult pathology – not only from the cognitive but also motor perspective, right into adulthood, and a whole area is developing for adult neurologists to care for these children with persisting neurological diseases when they become adults. Since the infectious context, the genetic background and medical practice vary throughout the world, this diversity needs to be represented in a pediatric neurology textbook. 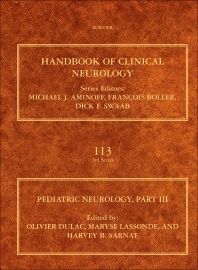 Taken together, and although brain malformations (H. Sarnat & P. Curatolo, 2007) and oncology (W. Grisold & R. Soffietti) are covered in detail in other volumes of the same series and therefore only briefly addressed here, these considerations justify the number of volumes, and the number of authors who contributed from all over the world. Experts in the different subspecialties also contributed to design the general framework and contents of the book. Special emphasis is given to the developmental aspect, and normal development is reminded whenever needed – brain, muscle and the immune system. The course of chronic diseases into adulthood and ethical issues specific to the developing nervous system are also addressed.